HomeHealthWhich affects health more – DNA code or ZIP code? January 14, 2019 Health Comments Off on Which affects health more – DNA code or ZIP code? A team at Harvard Medical School and the University of Queensland in Australia built what they say is the world’s largest database of twin data, based on health insurance claims covering nearly 45 million people. Twins share much of their genetic code and sometimes share the same environment, so they are useful for studying the impact genetics has on health, behavior and other outcomes. The study, published in the journal Nature Genetics, doesn’t have any big surprises. Overall, for diseases and conditions that hit people by early adulthood, genes account for about 40 percent of the variations from one person to another. Environment — broadly, climate, pollution, and socioeconomic status — accounts for most of the rest. “Environment” usually also includes behavior such as diet and lifestyle. Genetics had the largest influence on early-in-life eye diseases and on cognitive, or learning, disorders. Environment was the clearest factor in morbid obesity and, unsurprisingly, on infections such as Lyme disease, which is spread by ticks. It was also, to no one’s surprise, the biggest factor in lead poisoning. 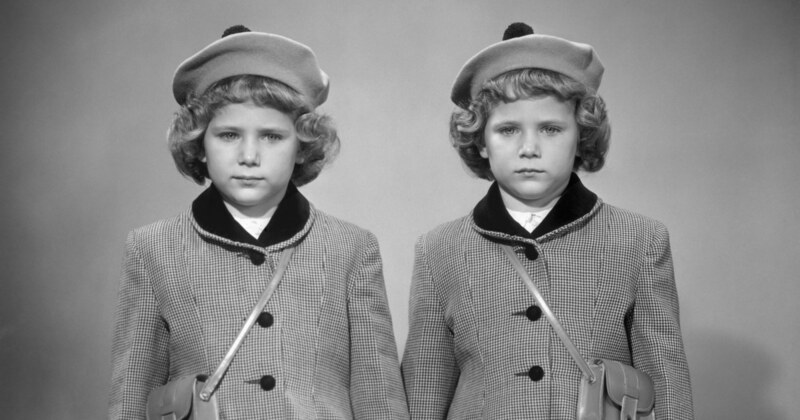 The 56,000 twin pairs were all 24 and younger at the time of the study, which started with people born in 1985 and later. That’s because the researchers needed to follow people who stayed on their parents’ health insurance plans. U.S. law allows people to keep their children on their health insurance up to age 26. The study also included more than 724,000 sibling pairs. The study was not aimed at answering the question of whether you can blame your genes or zip code for disease. It’s more to lay a basis for further research into what causes disease on a population basis. “Our findings can provide signposts that inform subsequent research efforts and helps scientists narrowly focus their pursuits,” said Chirag Lakhani, a post-doctoral research fellow at Harvard Medical School who worked on the study. Many studies have shown that zip code has a strong effect on health across the U.S. One 2013 study by the University of Washington found that people living in San Francisco or wealthy Washington, D.C. suburbs were much healthier than those living in Appalachia or rural Mississippi. Similar studies have supported these findings. Many have found that different states have greatly different rates of heart disease, stroke, cancer and other diseases. This particular study only shows effects on diseases that hit early in life. It found 40 percent of the diseases included in the study had a genetic component, and 25 percent could be linked to a shared environment such as living in the same home or having shared social influences. The biggest influence was when people shared both genes and the same environment. The finding upholds what scientists and doctors have said for years: that health is often a matter of environment and genes acting together. People with certain genetic predispositions are more likely, for instance, to become obese if they live in a place where it’s hard to exercise and difficult to eat a healthy diet.